Fox Lake authorities said there is a new, intensified internal investigation into military surplus equipment procured by Lt. Gliniewicz. FOX LAKE, Ill. (WLS) -- Fox Lake authorities said there is a new, intensified internal investigation into what officials call an "astonishing" amount of military surplus equipment Lt. Joe Gliniewicz procured, possibly through fraud. 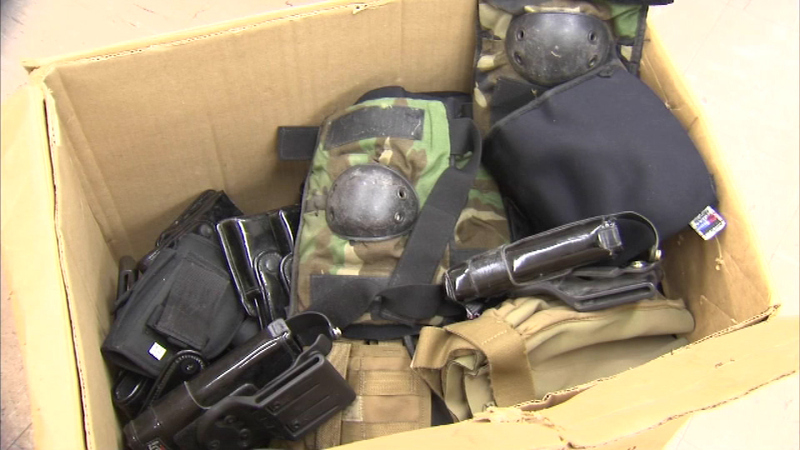 The equipment includes camouflage vests, gun belts and gas masks. It was discovered in the basement of a community center where Gliniewicz ran the Fox Lake Police Explorers program. Authorities showed the equipment to ABC7 on Friday. Investigators believe Gliniwiecz may have forged his chief's signature to obtain the equipment.